Hello everybody! 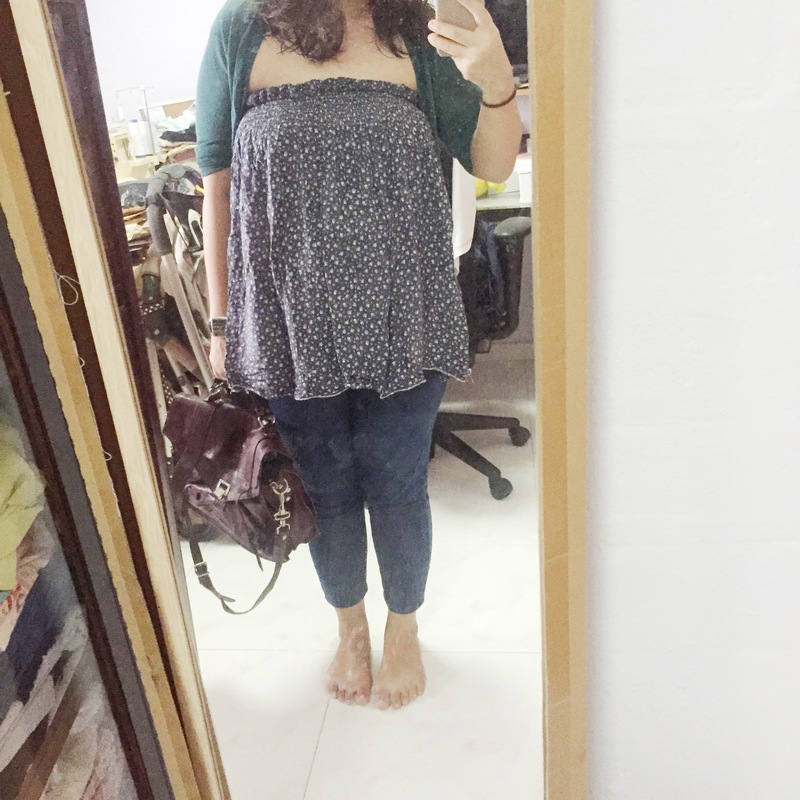 It has been a year since I last sewed and blogged. Sewing plans didn’t quite materialise in 2017 and my wardrobe crisis still remains. 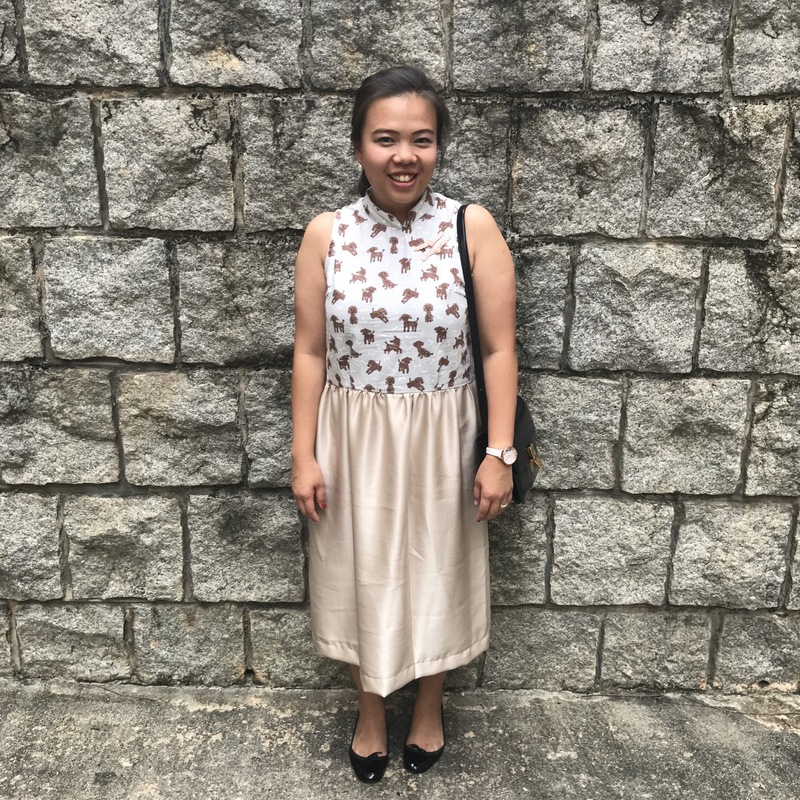 Since I have been sewing a cheongsam for myself every Chinese New Year since I started dressmaking, I can’t possibly break this tradition this year. 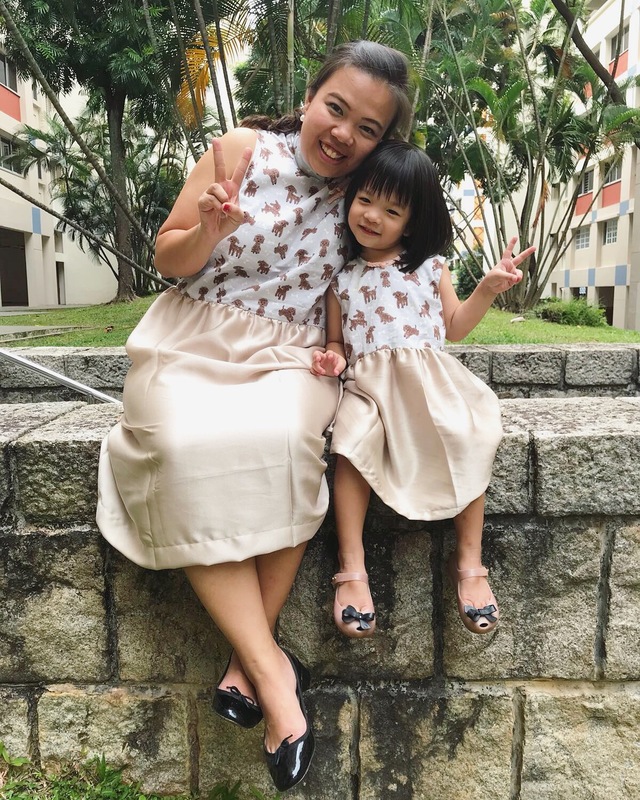 I bought 2m of Daily Like’ poddle print fabric last year for our outfits this CNY. 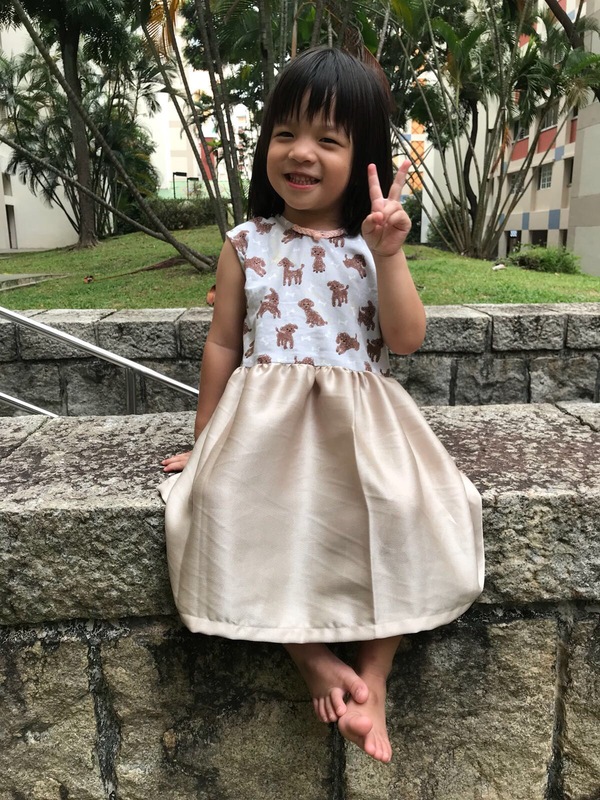 The plan was to sew something for the family: 1 cheongsam for myself, 1 cheongsam/dress for C, 1 shirt for J and 1 pocket patch for the husband (the print is a little too cute for him to wear it). I also plan to use fabric from my current stash so I cannot buy any other matching fabric too. 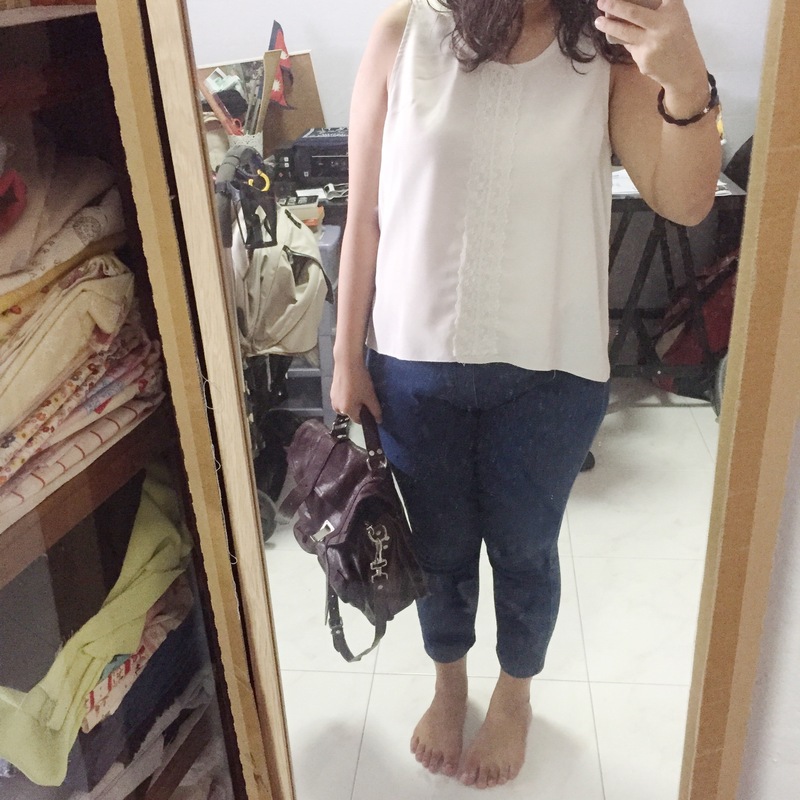 I started working on the outfits really late: a week before CNY. The shirt for J didn’t turn out well. The pattern was way too big for him (at 22mo) though it’s stated for 2-3yo. I’ll save the experience for another post. So I only had time to complete C’s and my dress. It was familiar ground! 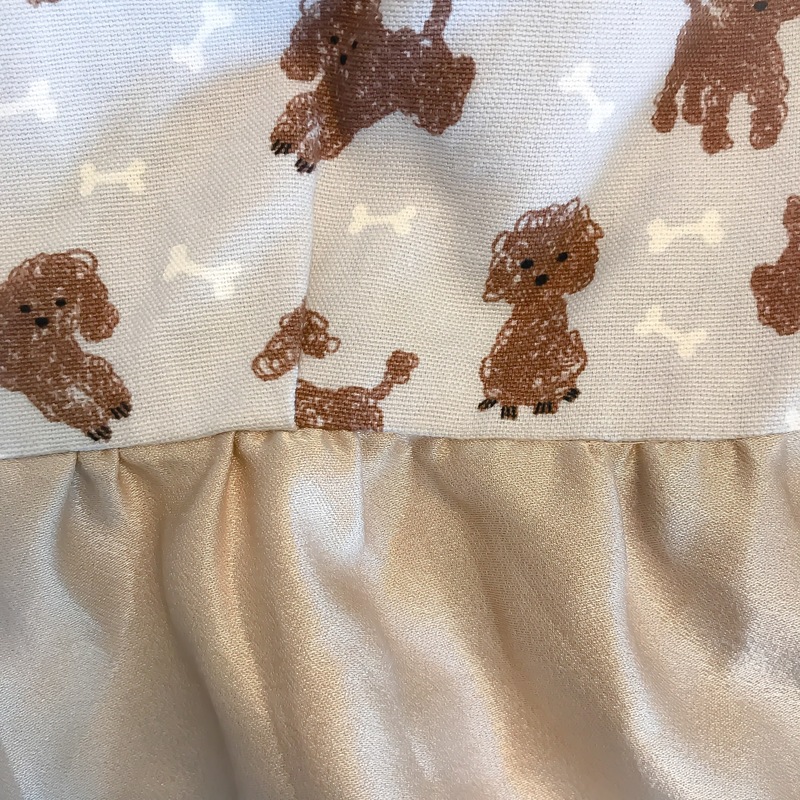 For both our dresses, I matched the poodle bodice with a satin blend of some sort that I bought years ago (yes I hoard fabrics). It’s very soft and drapes well. Best of all, it doesn’t leave behind water marks! 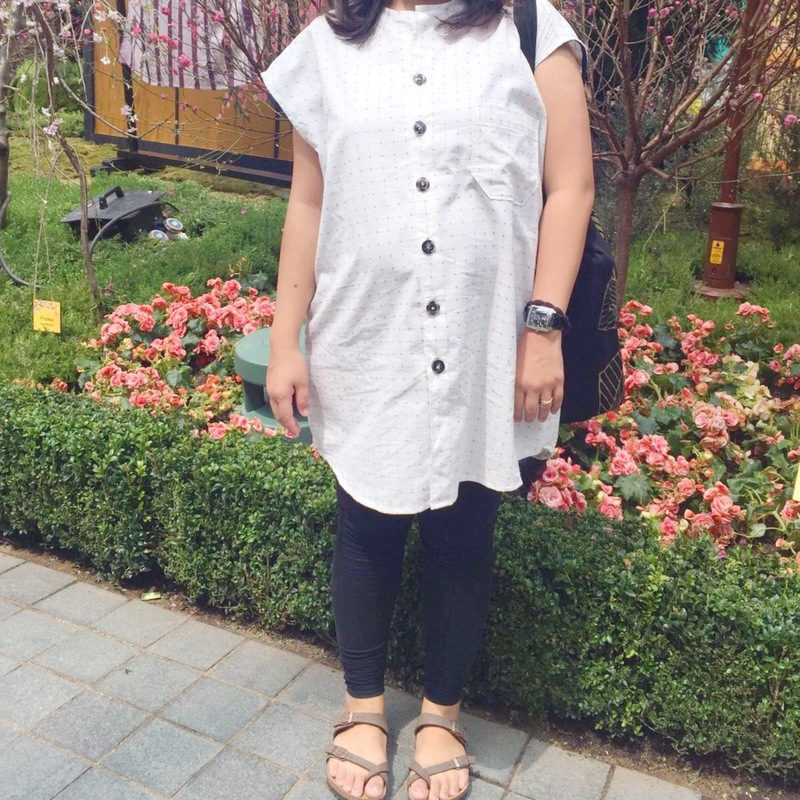 For my dress, I used the same pattern that I drafted last year (phew! 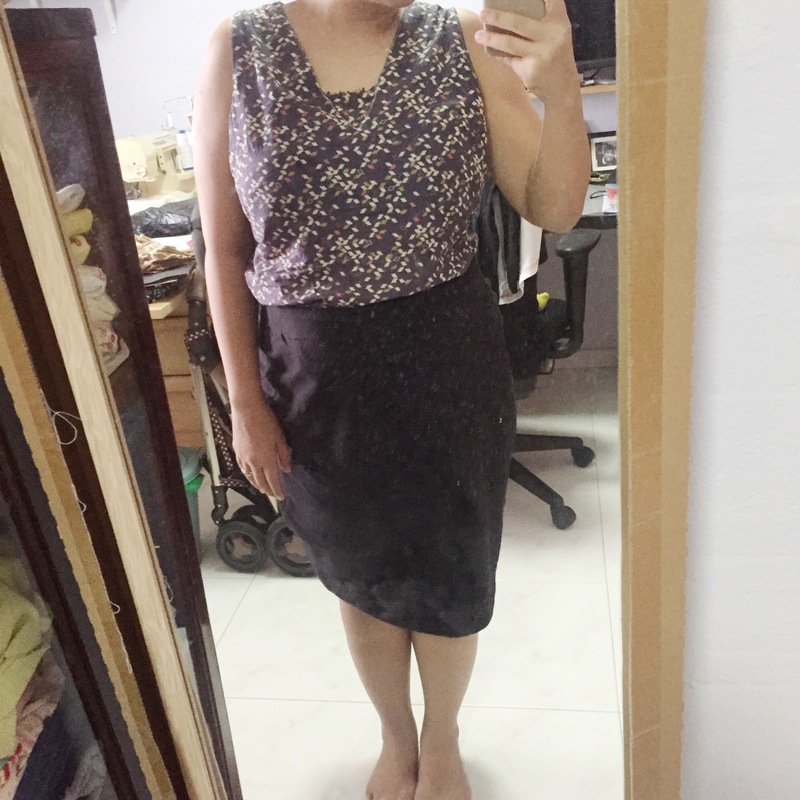 still can fit into it) for the bodice and a rectangle skirt for the bottom. To save time, I folded the waist darts instead. I also added frog buttons on the imaginary curve of the cheongsam to create the same the illusion. For C’s dress, bodice is drafted from the same pattern book that I have (I’m using a 4yo size which fits perfectly!). 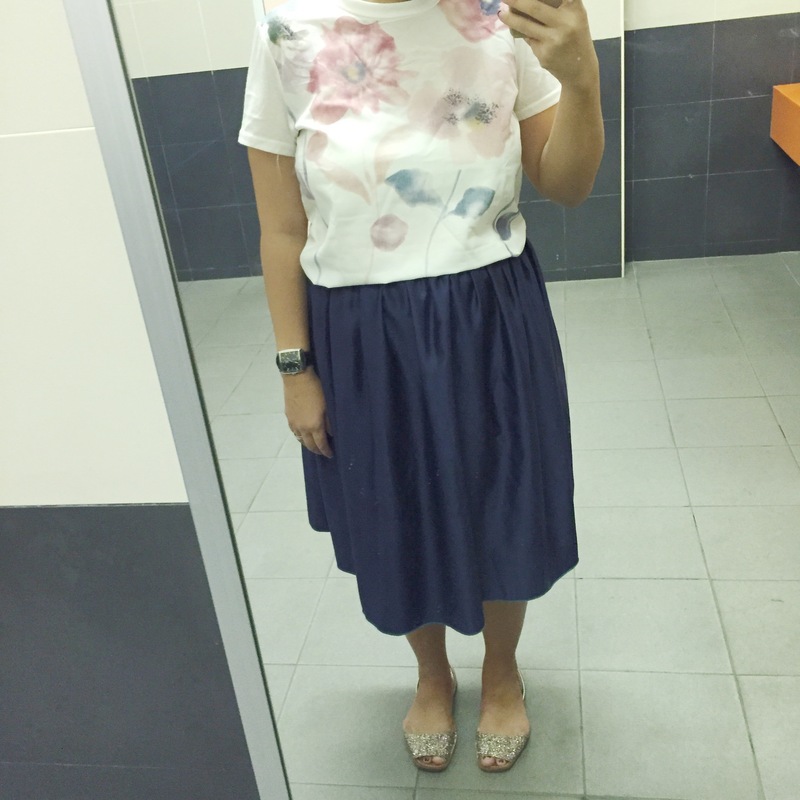 The skirt portion is a rectangle skirt too! It’s probably the easiest to make in a short time. 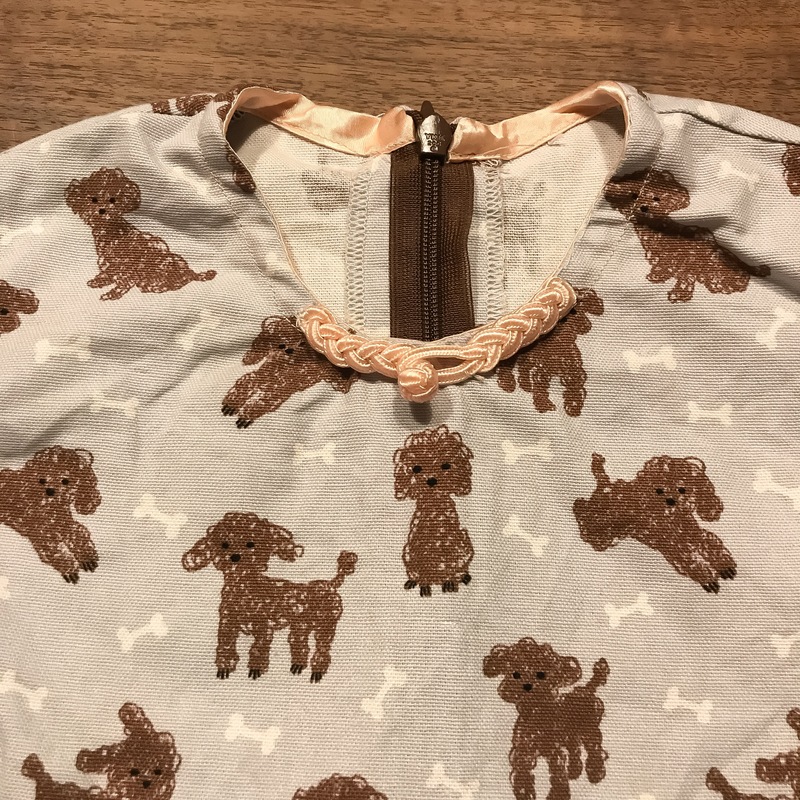 I ditched the mandarin collar but attached frog button to the neckline to achieve the chinoise style. Hello fellow sewing comrades, I am back in action after the longest hiatus! 2016 was spent being pregnant, caring for the new born and shifting to our current place. Fabrics were left on the work station and eventually packed and stored in the cupboard. 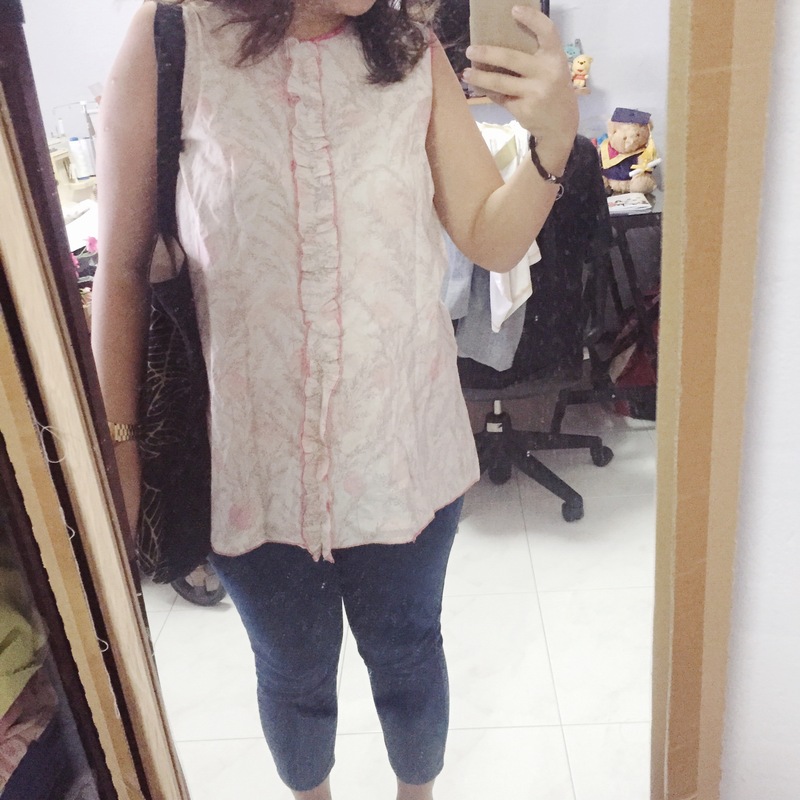 New outfit for Chinese New Year was the largest motivator this time round. 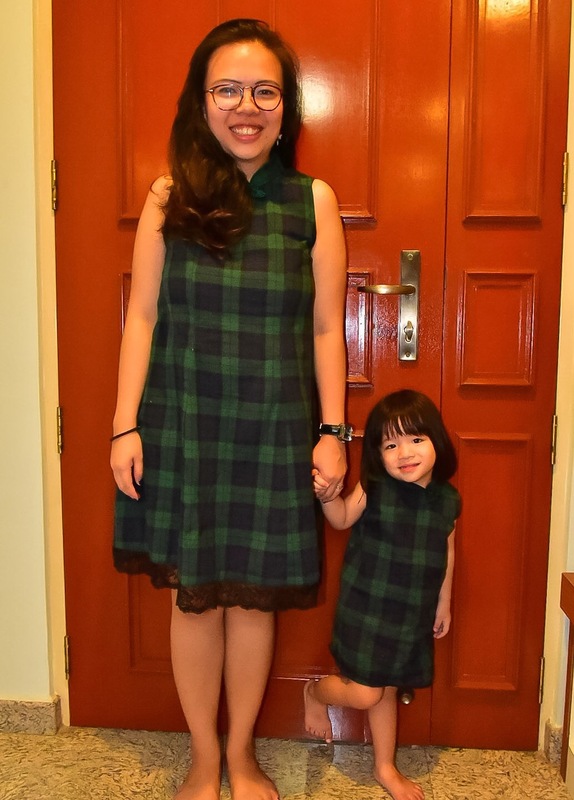 Since daddy has a tartan-plaid kind of shirt, I thought we could all be matchy matchy. The fabric which I bought from Nomura Tailor in Kyoto came in useful! And apparently it is very difficult to find nice tartan. I know because I ran out of fabric (for J’s pants) and combed through spotlight and Chinatown to no avail! I started a little too late on our outfits this year so I didn’t have time to finish up J’s pants. I hope to make J something real soon! Back to the dress, my dress is modified from the nursing dress pattern that I drafted, which I realized that I never got to share the pattern tutorial. I am tidying up the post and will be sharing real soon! I extended 5cm at the hem which I joined to the end of the dart on the bodice for a little flare. 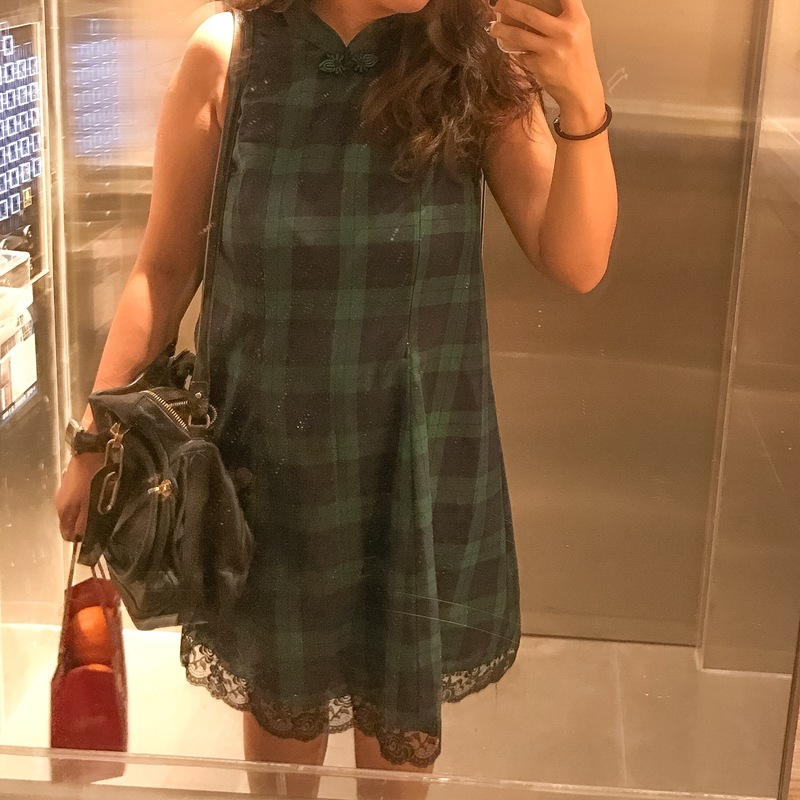 Besides the tartan print, my favourite part of the dress is the black lace trim, which I was trying to destash. I think I got it from Troyes. 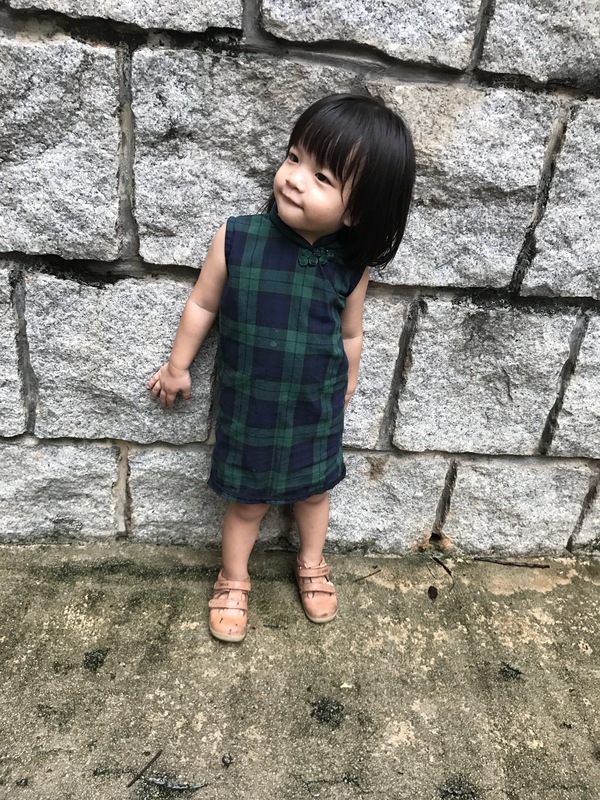 C’s dress is drafted from a pattern book that I photocopied from my sewing teacher and I added the mandarin collar for the occasion. She also had matching cotton crotchet trim for a softer look. Now that I have overcame the inertia, I hope to continue to sew this year. For the obvious reasons: wardrobe crisis! I still have clothes, just that I need a little more variety because I have retired many while I was packing for the move. 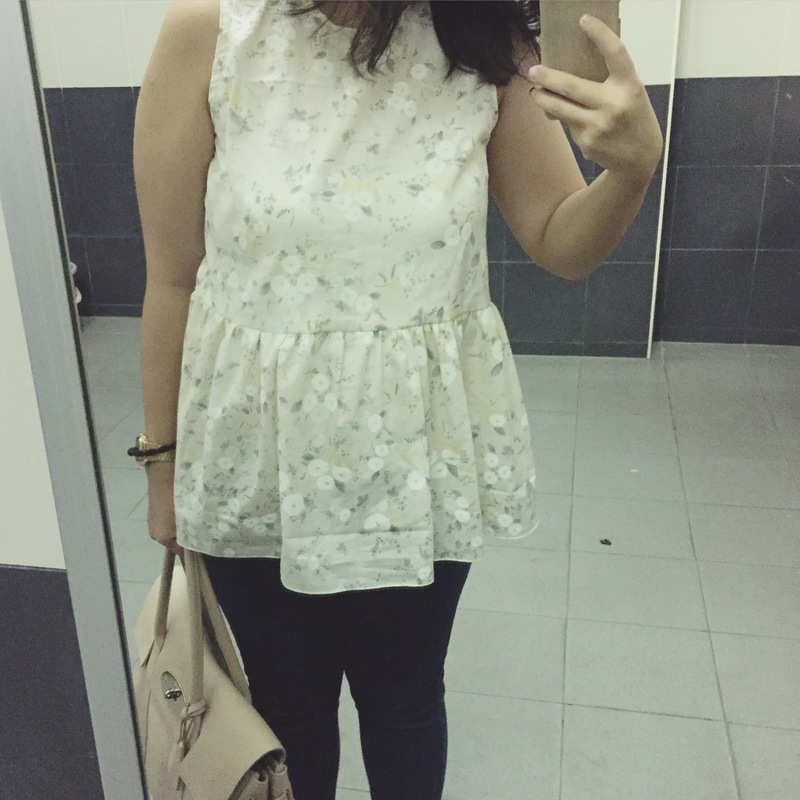 I hope to be able to sew 3 dresses (1 down, 2 more to go), 3 tops and 3 bottoms for myself this coming year. If time permits, I hope to squeeze in some clothes for my little humans too! And of course, destash! I must admit that the final week of MMMay 16 was difficult. 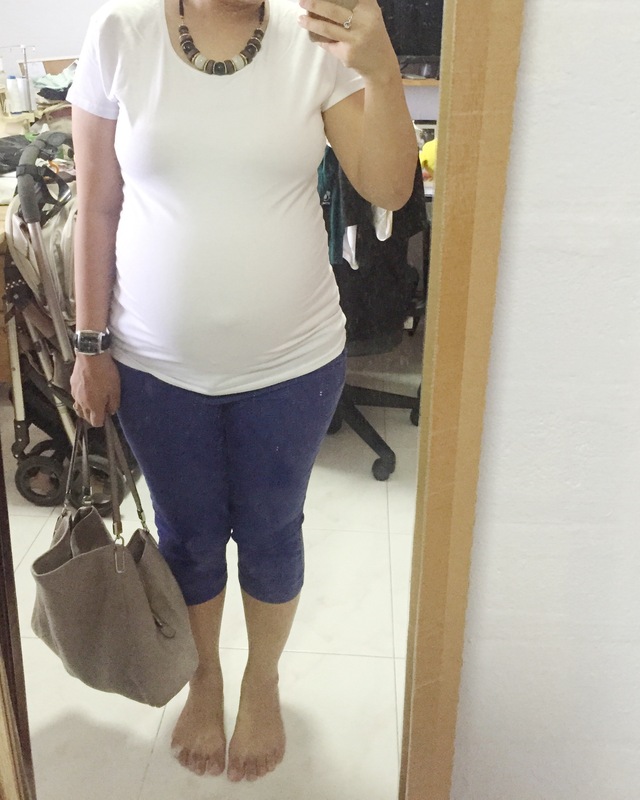 What I could wear in week 1 can fit me no more! Some repeats of staple and new additions. 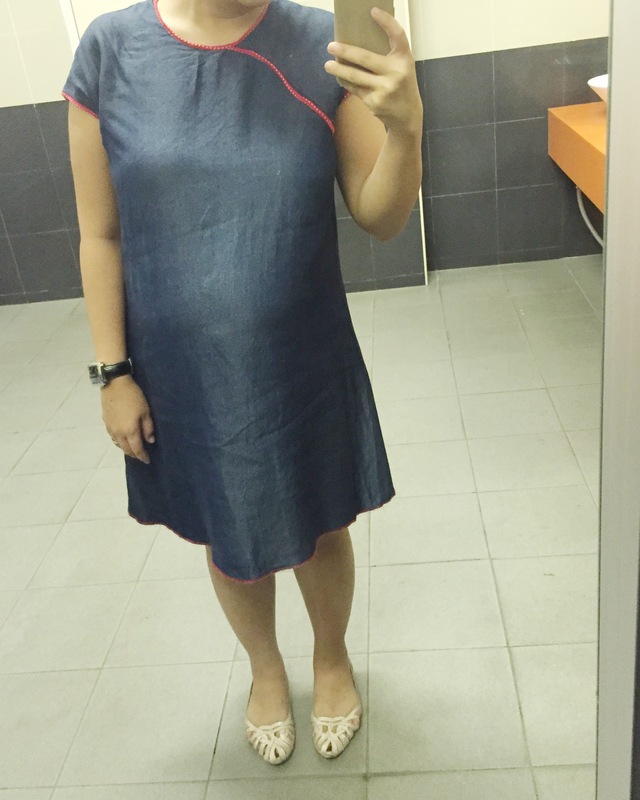 Day 22: Another 3-hole dress in a beautiful fabric from Berlin. I wore this to a wedding dinner. Day 28: Aprils in Paris skirt. This is another favourite combination, basically anything with stripes. Haha. 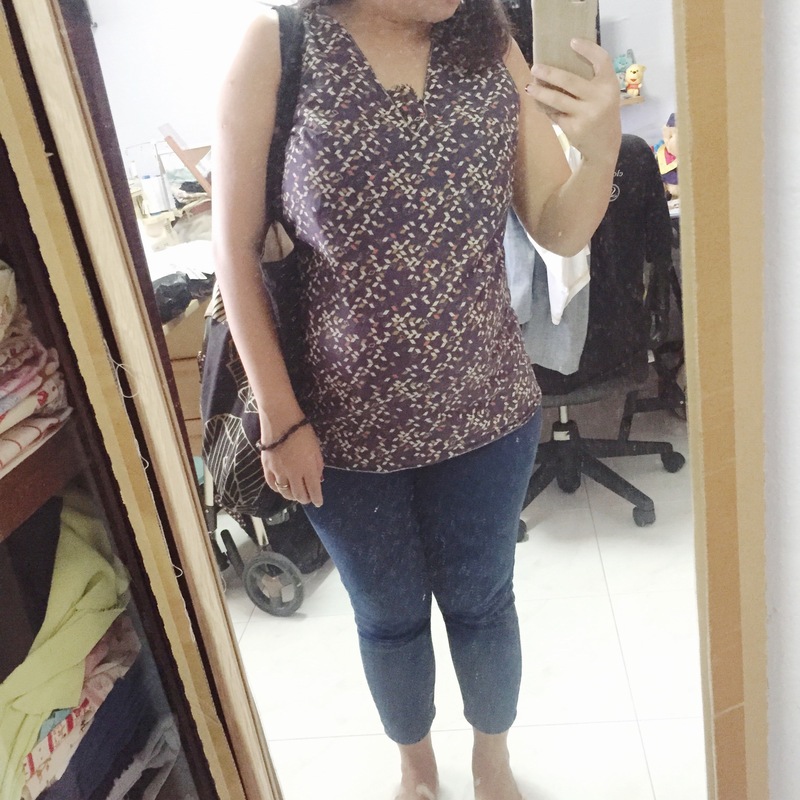 I didn’t thought I could still fit into this and wished that I had worn this earlier! So what about Day 29-31? I did wear me-made but accessories. Photo evidence? 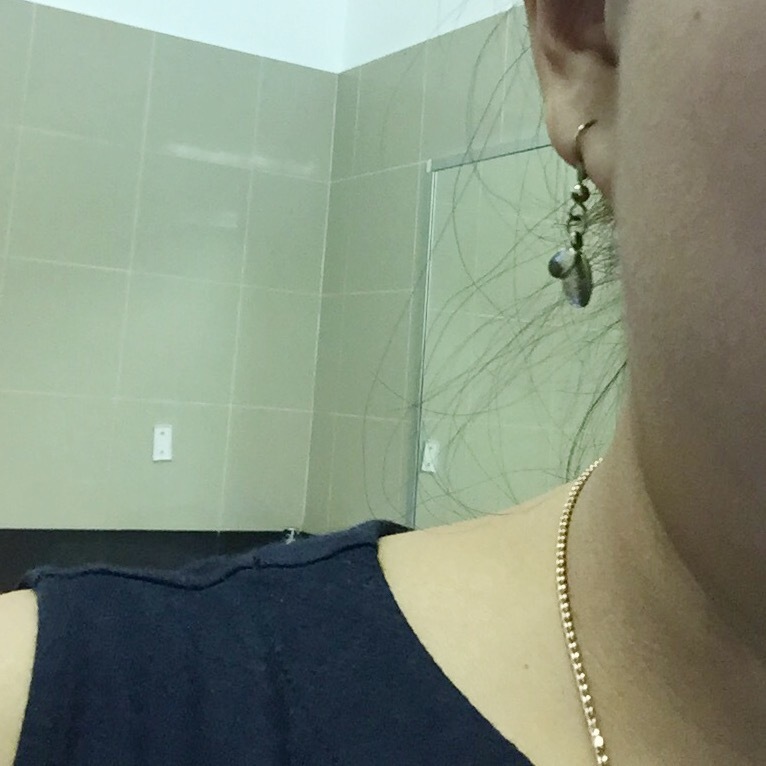 Too tired from work, too busy with work to snap photos of my earrings. I will try harder next year!!! Now that we have moved back from my in-laws, I have returned to the convenience of having everything in my own home. However, we are also slowly preparing for the move to our new place! It’s a really exciting phase and we can’t wait to finally have our own space. With that said, I will be starting to pack up some of my sewing supplies. I don’t foresee myself sewing big projects with a baby, toddler and the house to handle. However I will be definitely sewing little projects for the new home. Stay tuned for that! Day 15: V-neck tank in Atelier Brunette. Another favourite breathable fabric! 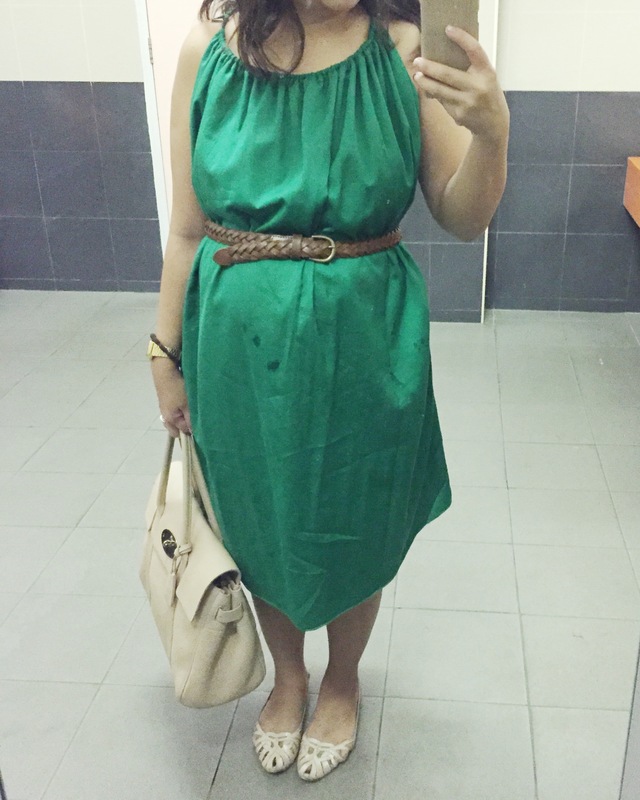 Day 16: Curtain shift dress, which is also the last time I could fit into this. I should have brought this out a little earlier. 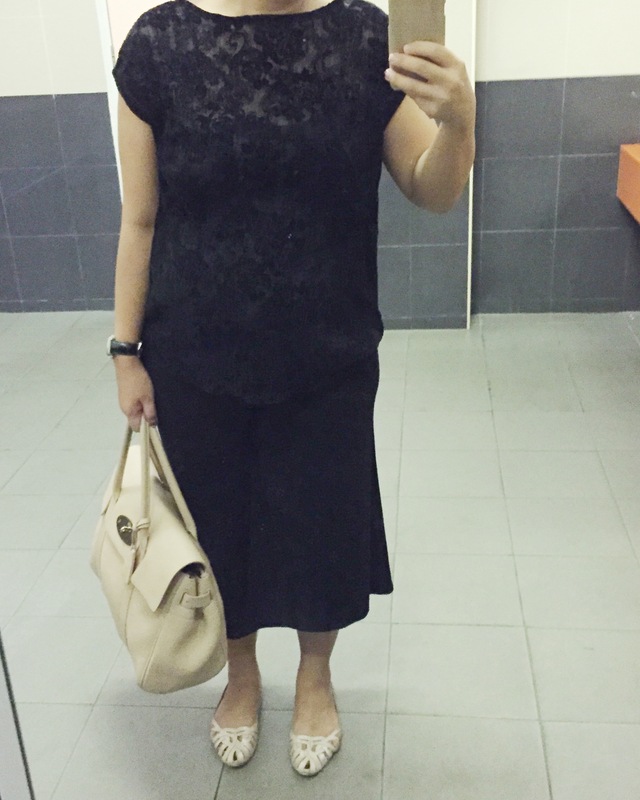 Day 17: Navy lace cheongsam blouse. I love this is so luxe and roomy as well, perfect for a formal event. 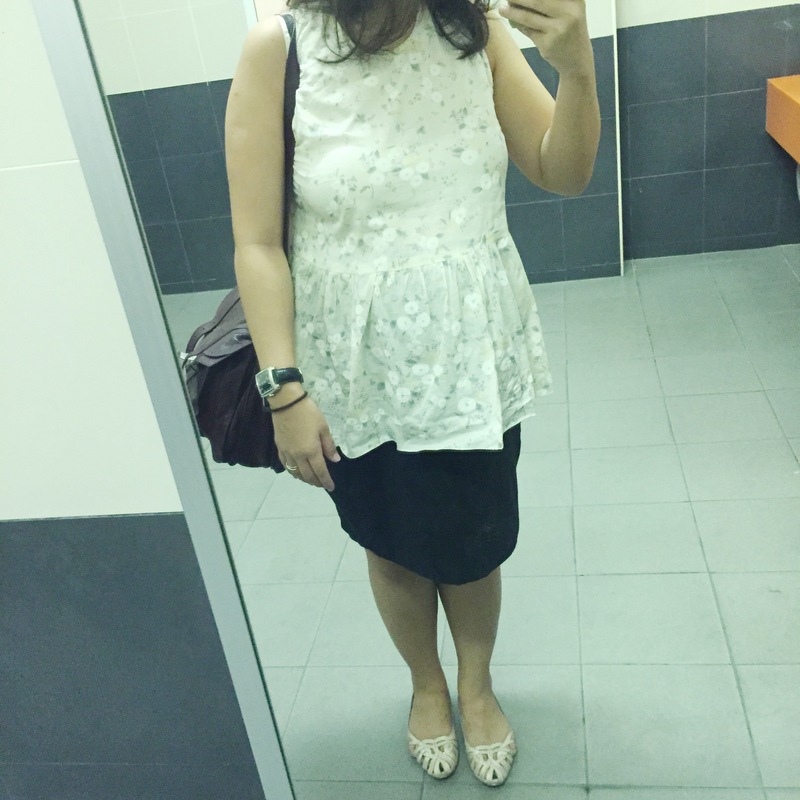 I wore this for my school’s photoshoot. Day 19: Happy Birthday Dress as a dress. 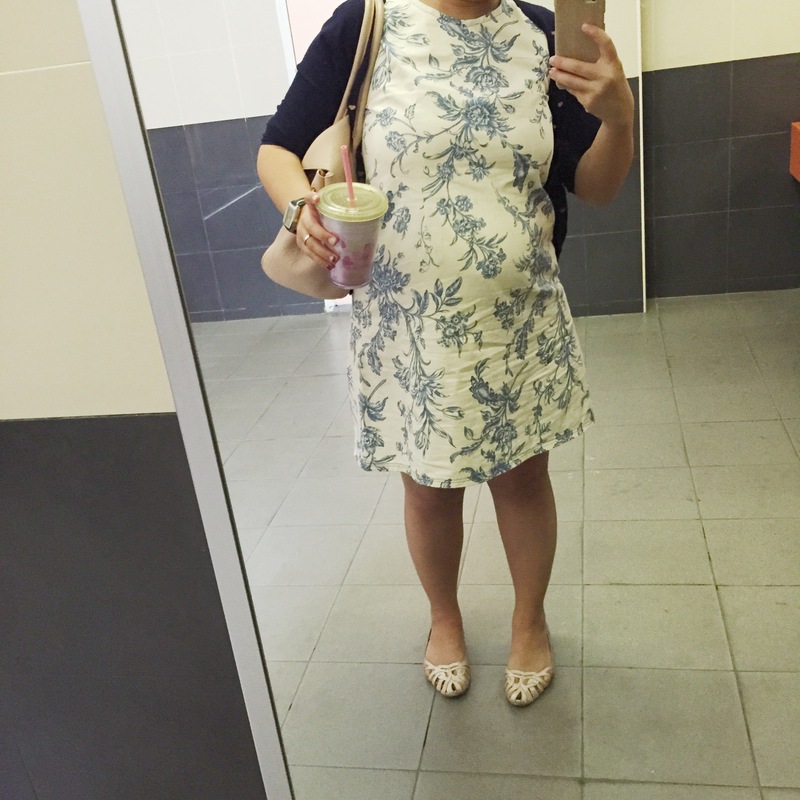 Shift dresses are definitely a favourite to wear pre-, during, post-baby! Day 20: Jakob from Burdstyle. Yes, wearing men’s wear. Pardon me as this little space is not as updated as I would love too. 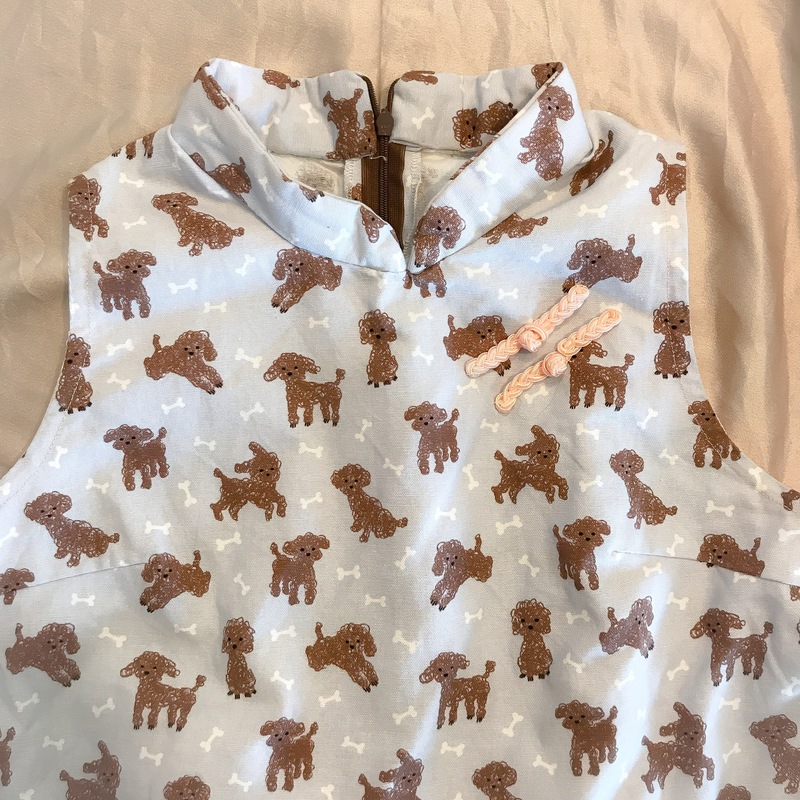 I’m slowly trying to get back my sewing mojo post confinement amidst managing a baby and a toddler. Sounds like I have plenty on my plate? A little but I will manage! 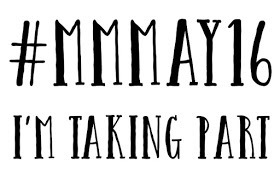 I have also been updating more often over at 2mamas4kids as I try to spend more time with C. Head over to take a look at what my blog partner and I have been up to! Anyhows, here’s my update for MMMay’16 Week 2. 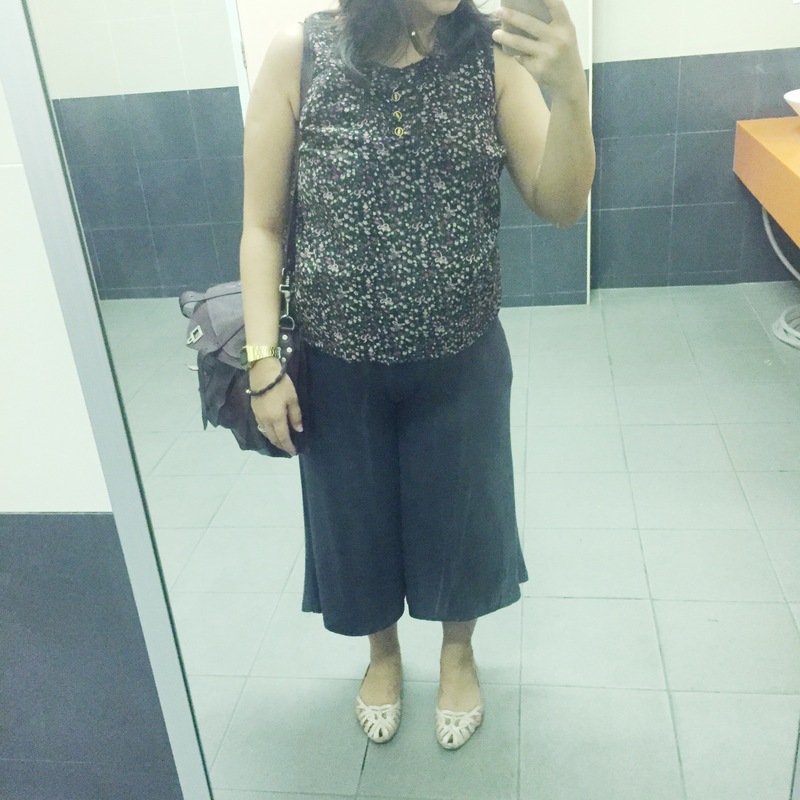 Day 12: Bring back the peplum blouse in Nani Iro and the pencil skirt. 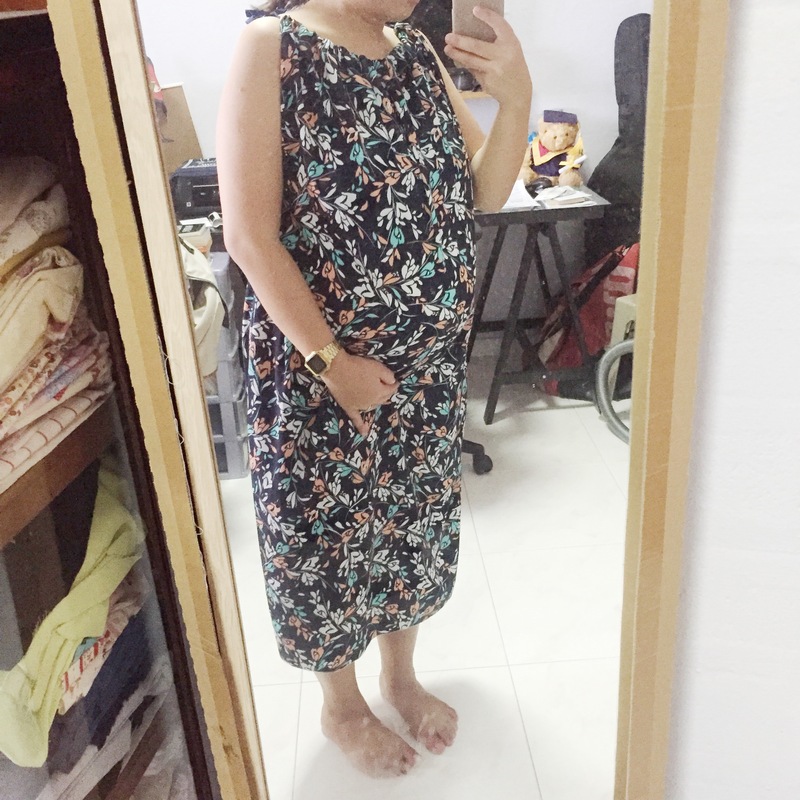 I also love to wear this post-baby. 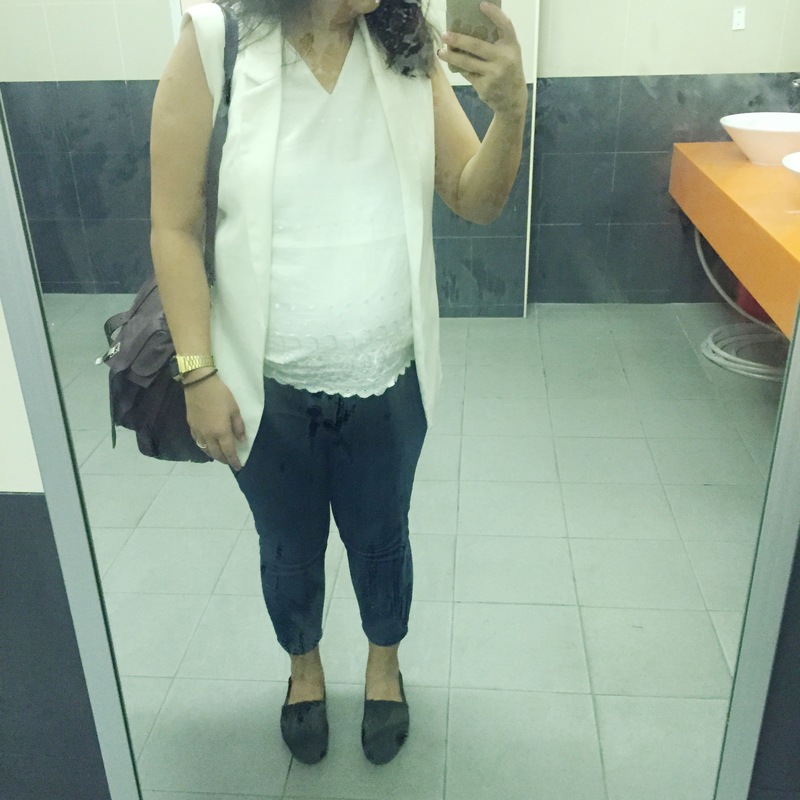 The peplum allows me to cover my baby while breastfeeding! Many wins! 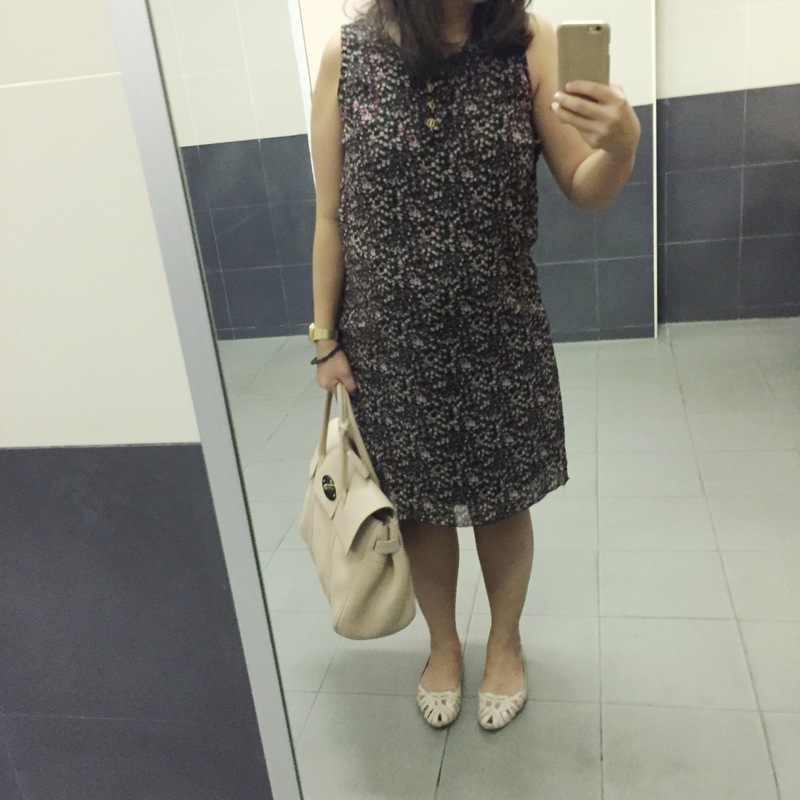 Day 14: Frilly Sorbetto tunic in Liberty cotton which is SO breathable. Perfect for the heat flashes during the third trimester. 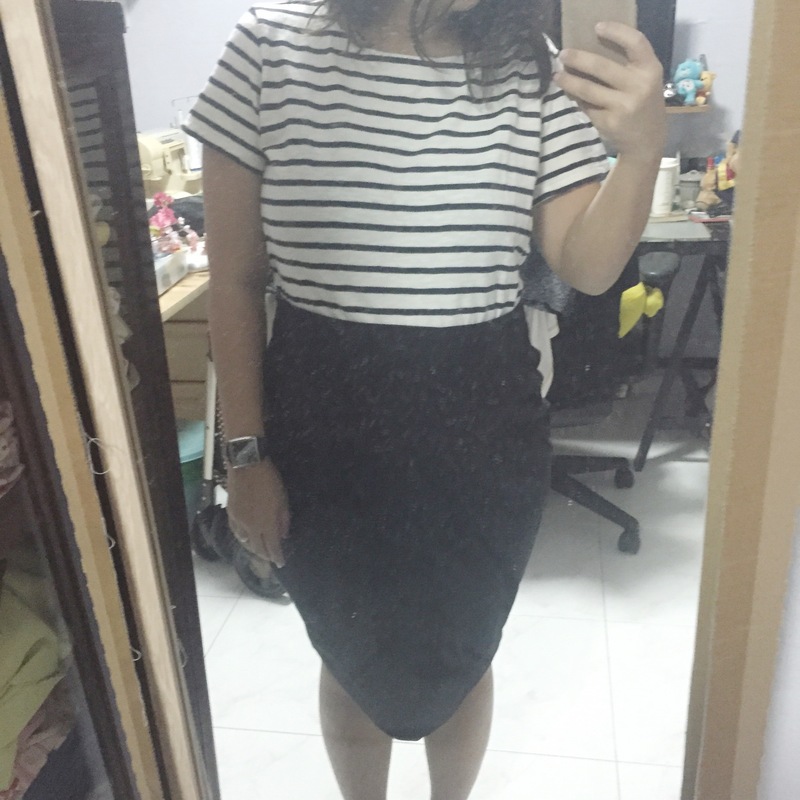 Day 1: Jersey Pencil Skirt. 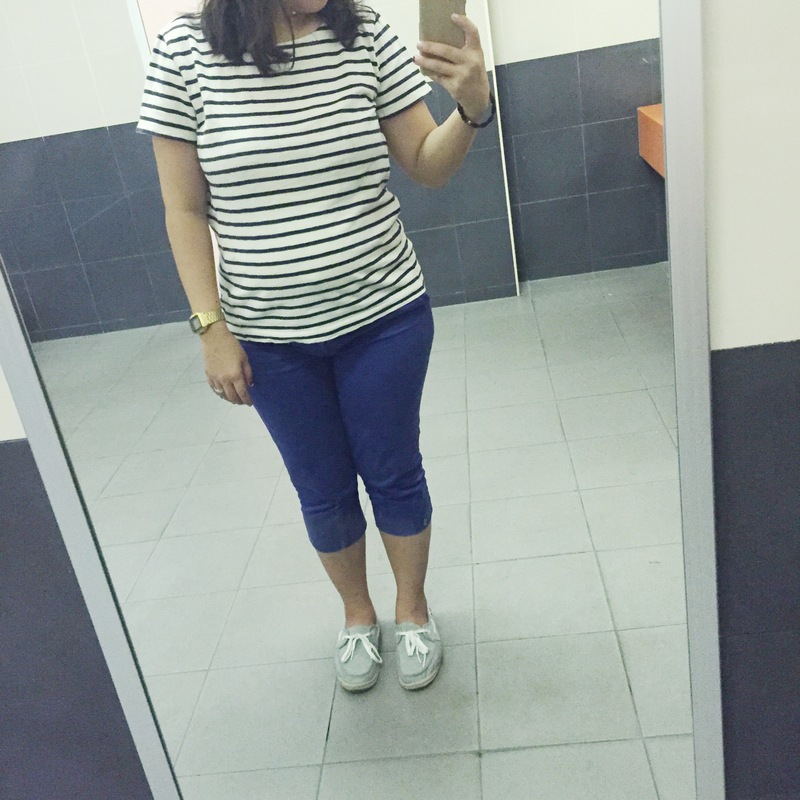 No I did not make the stripe tee but this is one of my favourite outfit! 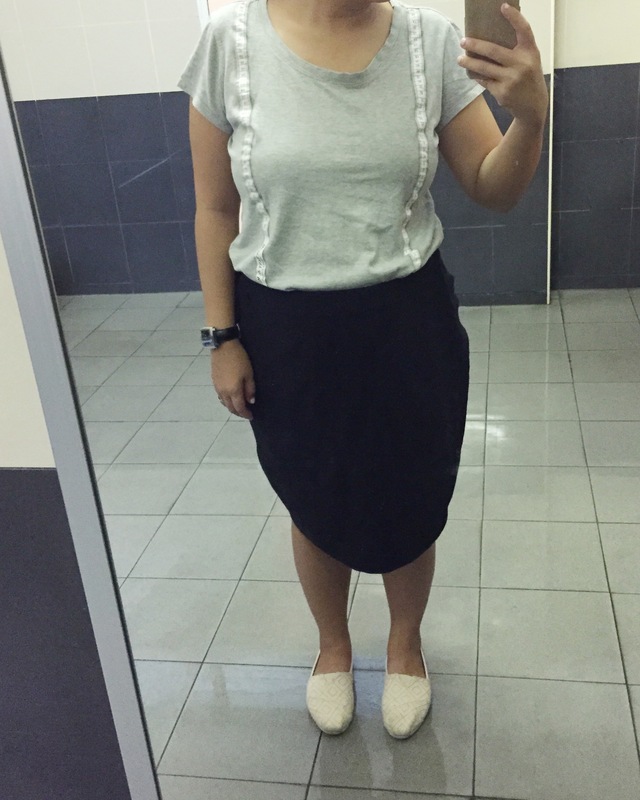 Day 6: Re-wearing the pencil skirt (already). This is a staple, the most comfortable staple! 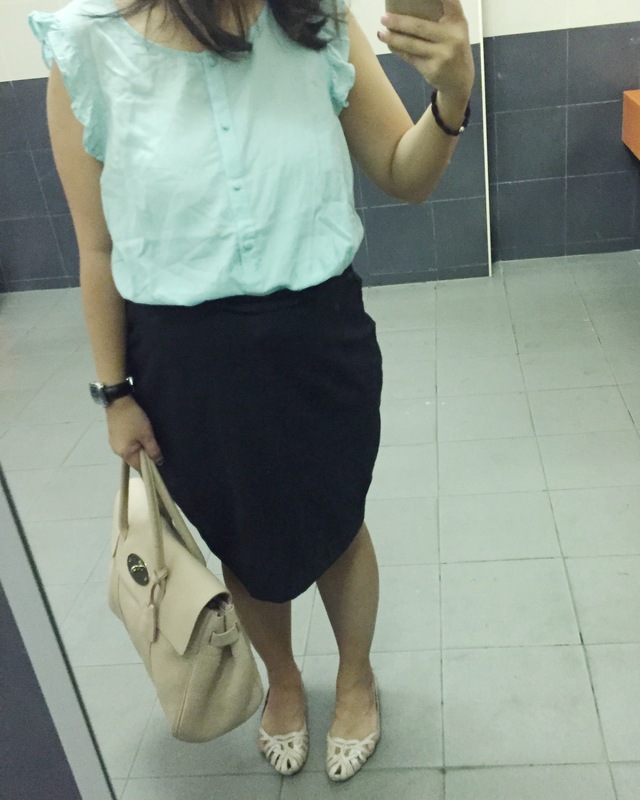 It was pretty fun in Week 1 because I had not ran out of combinations (though I repeated the pencil skirt) and I can still fit in most clothes. More updates for the subsequent weeks coming soon! 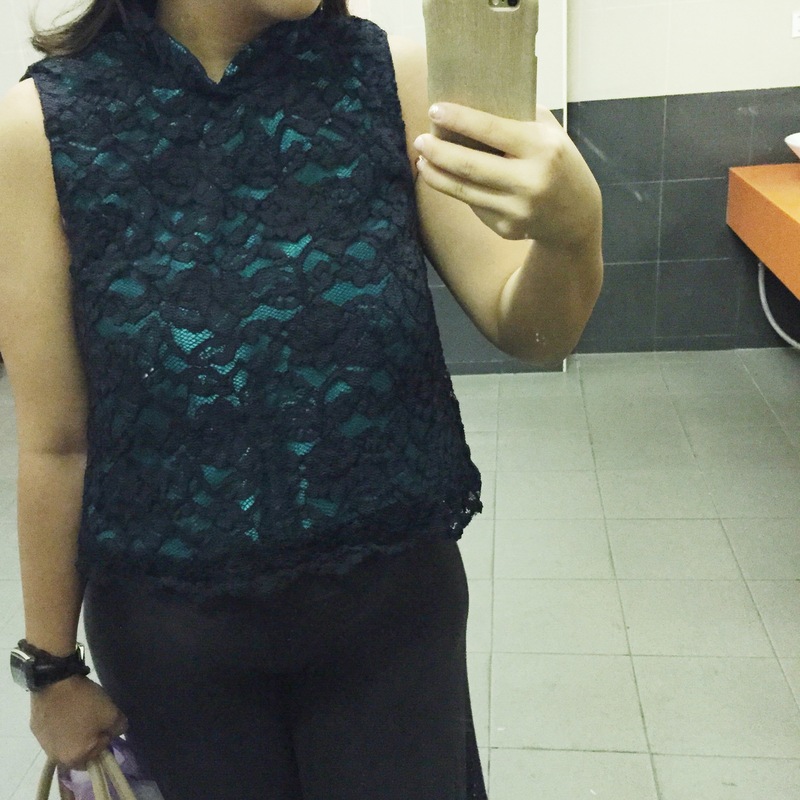 After participating in Me Made May last year and feeling pretty much empowered wearing more me-made stuff, how can I not participate in 2016’s? 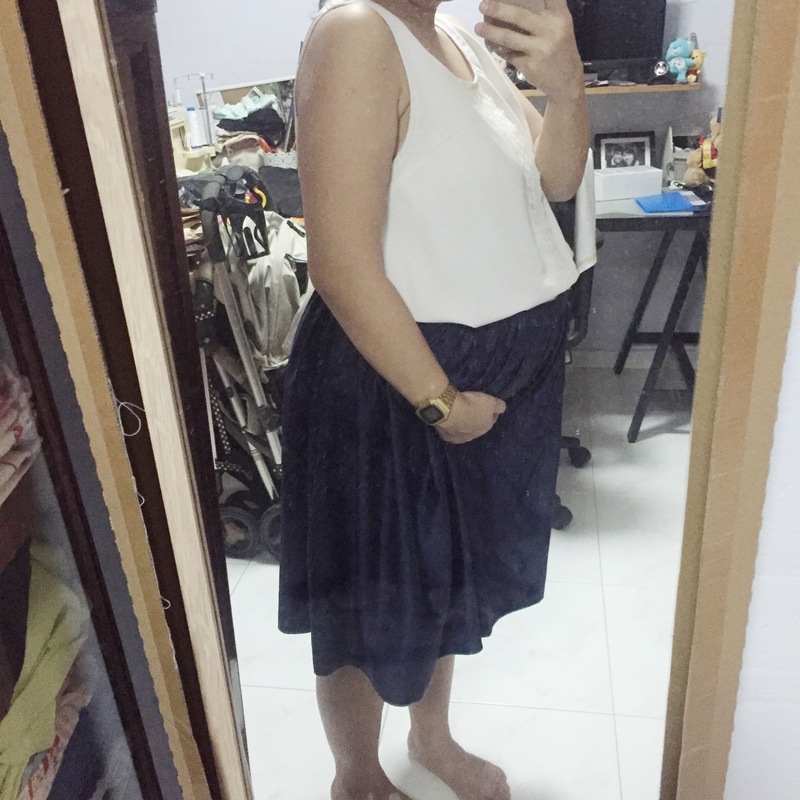 Me Made May 2016 will take on to another level because I will doing a maternity series. 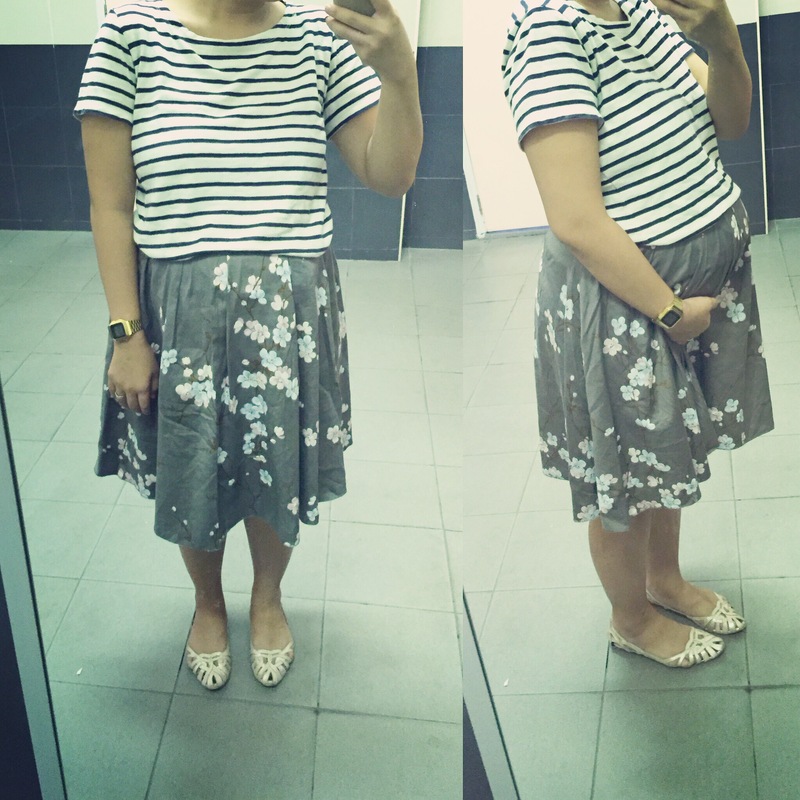 Since I am due in May, I have also pre-planned my me-made outfits during Week 27-30 of my pregnancy, rather than the actual month of May itself. Yup so a me-made-may maternity it is!